MECHANICSBURG – Gabe Goforth gets excited every time he is matched up against a short stick on attack. The Bishop Shanahan sophomore led a scoring parade Tuesday night with seven goals as the District 1 champion Eagles rolled into the PIAA Class AA final with a 17-5 landslide over District 3’s York Catholic at Cumberland Valley High School. Shanahan advances to Saturday’s final at West Chester East (2:30 p.m.) to face District 1 third-place finisher Strath Haven, a 12-11 survivor of Mars Tuesday. 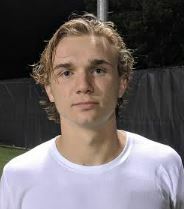 Goforth rattled off four consecutive goals in the first quarter to rectify an early strike by York Catholic’s Chandler Hake, and the offense was rarely quiet for long. In three states games, Shanahan has poured in 48 goals. With the bevy of scorers firing away Tuesday, it’s not hard to see how. Goforth was hardly alone Tuesday. Michael Tagliaferri scored four times. Brian Rafferty paired two goals with two helpers, while Heisman added a goal and three assists. Kyle Gucwa scored twice and dished an assist. York Catholic opened the scoring via Hake, who scored four goals. But Shanahan responded with the next 10 and led 10-3 at half. Matthew Cassidy also scored for York Catholic.